A Computer Interface is a device used to interface a computer to a DCC System. A Command Station or throttle network that allows your computer to control your trains and turnouts and provide feedback from things like occupancy detectors. 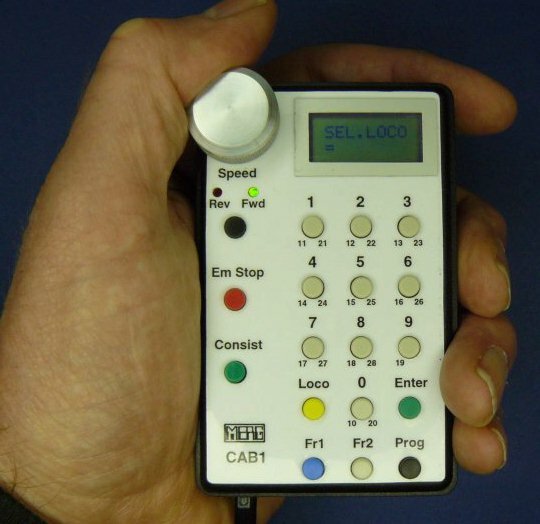 A Programmer that directly attaches to a DCC programming track allowing you to program mobile decoders from a more user-friendly software application. A Booster Module with a computer interface. A Command Station or throttle network interface connects between a computer (or networked computers) and a DCC system’s throttle network. Throttle network computer interfaces are specific to different DCC systems. Serial port interfaces are widely used but are rapidly being displaced by USB versions. 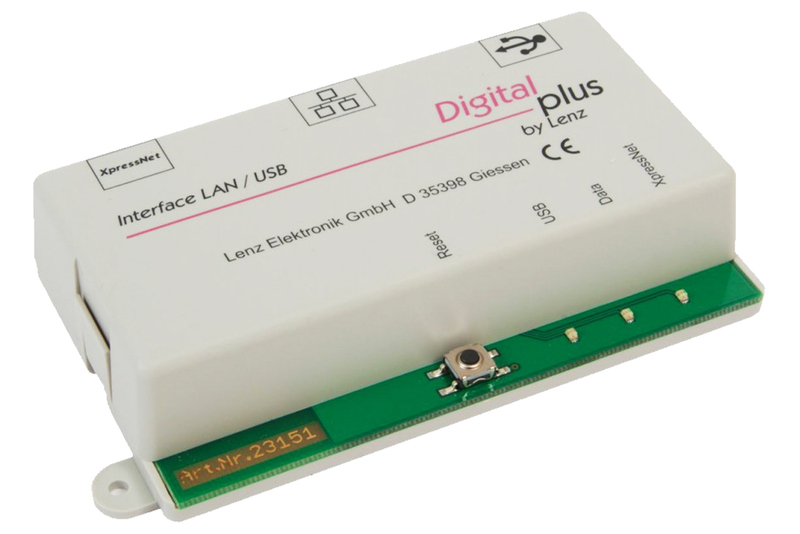 Ethernet interfaces allow significantly more functionality than USB because any device on the same network can now access the DCC system and no dedicated computer is required. This opens up the possibility of WiFi Throttles on mobile devices which are starting to appear now. If you have a serial interface on the device that connects to the throttle network, but no serial port on your computer, a USB to Serial converter can be used. There are a number on the market, remember that the cheaper ones may not work well or at all. Not all DCC systems require a separate computer interface, some brands may have one built into the command station. Examples are listed in the second table below. A programmer-type interface allows a computer to directly generate (and receive) DCC packets for the purpose of programming the CVs of a mobile decoder or stationary decoder. 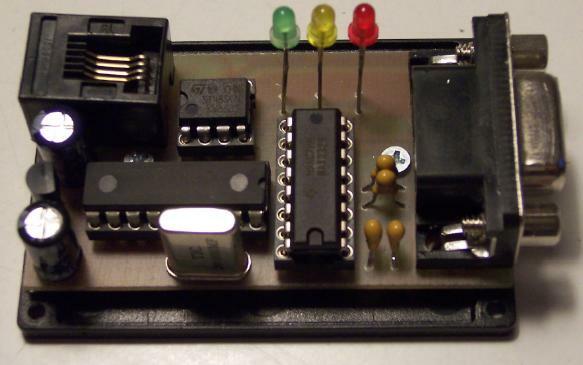 The programmer is attached to a programming track with limited current capabilities so that a newly-installed decoder can be tested without risk of damage. Some programmers have a built-in mini booster to allow you to test a DCC locomotive on a small test track or rolling road. Some even have boosters large enough to power a small layout. In this scenario you don’t need any other DCC equipment other than the programmer acting as your booster and the computer acting as the command station and throttles. There are some programmers available specifically designed to download sound files from a computer to a sound decoder. 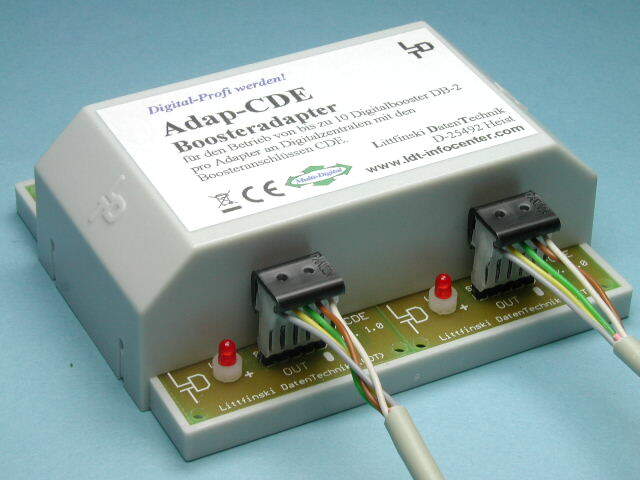 These can also program standard DCC decoder CVs but are manufacturer-specific for sound programming. They are usually specific to one brand of sound decoder, with specific software. A booster-type interface is a computer interface with a built-in booster (or one that connects directly to a DCC booster). The computer acts as the command station generating the DCC Packets to be sent by the booster and either uses on-screen throttles or allows mobile devices with WiFi Throttle apps to act as the throttles. This is a specialized type of interface that allows different systems to communicate with each other. One example of this is where a starter DCC system (not designed with computer control in mind) is linked to a computer system via a custom ineterface module. Custom Interface modules may offer limited functionaility or may not be subject to continued development making them less desireable. PR3 Throttle Network/Programmer USB 2.0 LocoNet/Programming Track Can function as throttle interface or programmer but not both at the same time. LI101F Improved version of LI100F. LI-USB USB USB version of LI101F.